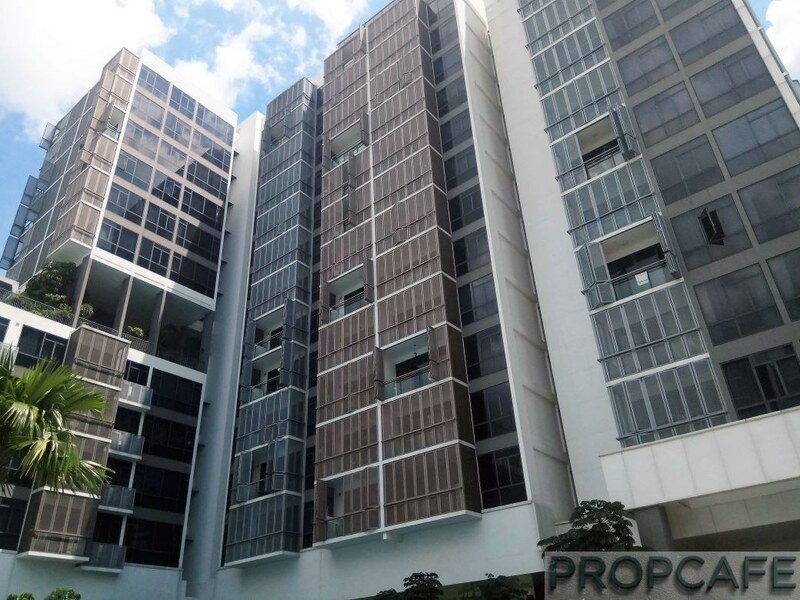 Kuala Lumpur is the fourth least expensive city in Asia to build in, according to the International Construction Costs 2018 report published by Arcadis which details and ranks the relative cost of construction in 50 of the world’s major cities. In last year’s annual report from the leading global Design & Consultancy firm for natural and built assets, the Malaysian capital was the second cheapest. Hong Kong is the most expensive city in Asia, followed by Macau and Singapore. 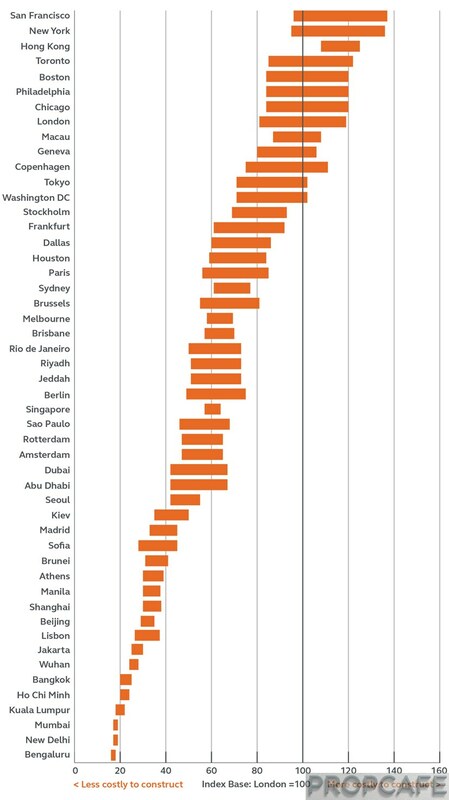 Overall, San Francisco, New York and Hong Kong were the top three most expensive cities in which to build in the world. The relative strength of the U.S. dollar is a key factor influencing the positioning of cities in the index this year. The strong dollar places North American cities higher in the index compared to markets where the domestic currency is relatively weaker. The report is published against the backdrop of a growing global economy in 2018. 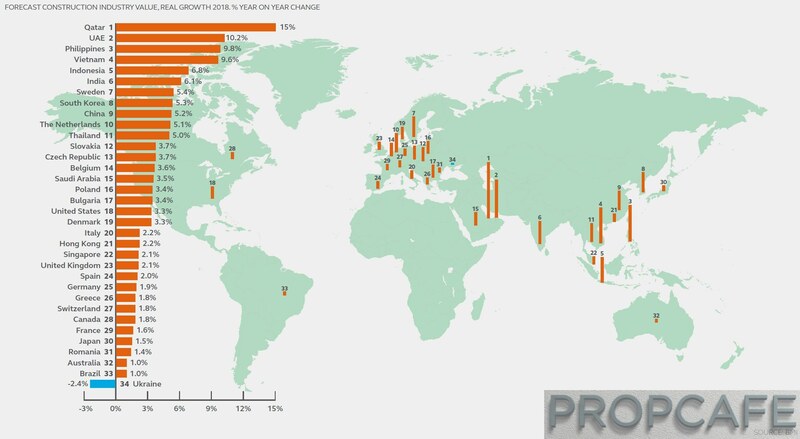 Following a stronger-than-expected 2017, countries around the world are experiencing an upturn, and this robust economic performance will accelerate the demand for construction around the world. China’s One Belt, One Road project is also contributing significantly to global construction demand, with over $900 billion of planned projects, from gas pipelines in Central Asia to high-speed railways in Indonesia. Which cities are most expensive for construction? The relative strength of the U.S. dollar is a key factor influencing the positioning of cities in the index this year. The strong dollar places North American cities higher in the index compared to markets where the domestic currency is relatively weaker against the greenback. materials. Construction costs are current as of Q4 2017.